The witching season is upon us once more and I dare say I have mentioned on more than one occasion how this is one of my favourite times of year..so don’t be surprised if some of this month’s song choices have a slightly sinister edge, a spooky connection or just a weird way about it..the weirder the better I say! 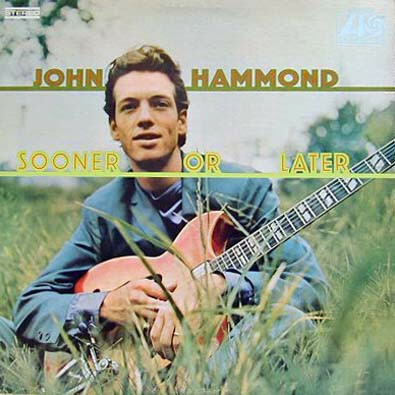 Today’s song was originally written by Willie Dixon, but the performance I have picked is the first version I ever heard properly and this was covered by John Paul Hammond on his 1968 Sooner Or Later LP. Evil (Is Going On) is a Chicago blues track which, although written by Dixon, was released by Howlin’ Wolf for Chess Records in 1954. This version features sidement Hubert Sumlin and Jody Williams (guitars), Otis Spann (Piano), Willie Dixon (double-bass) and Earl Phillips (drums). John Hammond’s version is very cool with its slinky harmonica, tempting me to dig out my bass and play along…Check it out above.. This entry was posted in Blues and tagged Blues, Harmonica Blues. Bookmark the permalink.